Our Task – Deliver a Responsive Ecommerce with a working POS System to sync the stock available at the retail and on the online shop. 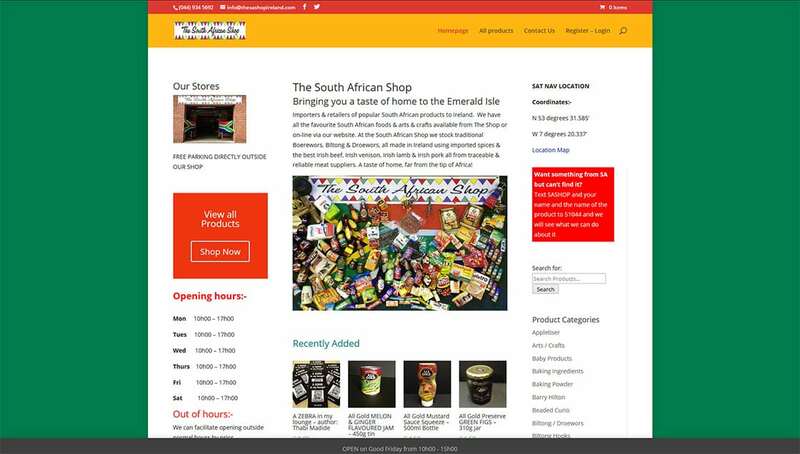 The South African Shop in Mullingar is an importer and retailer of popular South African products. We worked very closely with the owner to deliver a website as useful as possible for both customers and the administrator. Being both an online and retail shop, sharing the same products in stock, to have a working POS System was crucial to the business and we tried different different solutions before implementing it in WooCommerce. Now the products in stock are synced between each other and easily manageable.